Compact, Long Lasting, High Performance RTX GPUThe ASUS Phoenix GeForce RTX 2060 crams high performance into a robust and compact 2-slot design. Bring the power of RTX Turing architecture and utilise it in small compact builds giving you both the power of the NVIDIA’s RTX Cards and the convenience of having a smaller more discreet build. The ASUS Phoenix GeForce RTX 2060’s dual-ball bearing fan lasts twice as long as sleeve-bearing alternatives and sports an IP5X dust-resistance certification, making it perform well, even in tough environments. Each card is manufactured using Auto-Extreme Technology, an automated manufacturing process that sets new standards in the industry. If you're looking for a long-lasting companion to power you through years of games to come, look no further than the ASUS Phoenix. Protects Components with IP5X dust resistant DesignThe Phoenix GeForce RTX 2060 features a dual-ball bearing fan that is quiet, efficient, and lasts twice as long as sleeve-bearing designs. To further increase reliability, ASUS have designed the fan to be IP5X dust resistant, which means dust won't be able to damage its internal components. 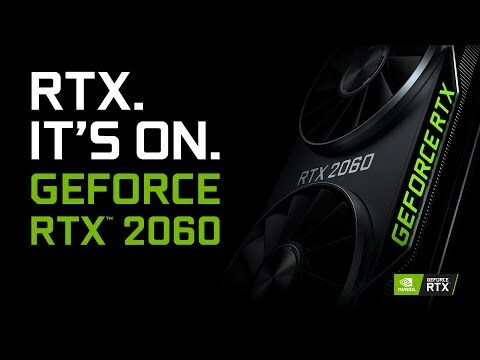 Setting New Standards for ReliabilityThe Phoenix GeForce RTX 2060 is produced using Auto-Extreme Technology, an automated manufacturing process that sets new standards in the industry by allowing all soldering to be completed in a single pass. This reduces thermal strain on components and avoids the use of harsh cleaning chemicals, resulting in less environmental impact, lower manufacturing power consumption, and a more reliable product overall. Bring RTX Power to small pc buildsThe ASUS Phoenix GeForce RTX 2060 was built into a compact frame in order to maximize compatibility. With small chassis becoming more common, size is a serious selling point.